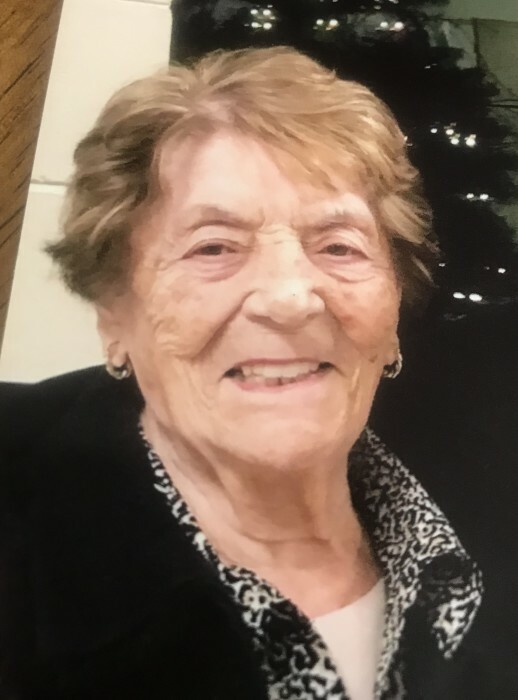 Obituary for Viola (Pennacchia) Rainone | Nardolillo Funeral Home, Inc.
93, of Easley, SC, formerly of Providence, RI passed away on Friday, November 2, 2018. She was the beloved wife of the late Constantino Rainone, Laborer Steward for Local 271. Born in Cranston, RI she was the daughter of the late Pasquale and Olga (Menna) Pennacchia. Viola worked in the jewelry industry for many years before her retirement. She was the loving mother of Lorraine Dandeneau of Easley, SC, and John Rainone of Plainville, MA; 4 cherished grandchildren and 4 great grandchildren; dear siblings Nancy Pasquazzi of Cranston, Rosalie Corsi of Johnston, Joseph Pennacchia of Cranston, and the late Peter and Louie Pennacchia. Her funeral service will be held on Saturday at 11:00 a.m. in the NARDOLILLO FUNERAL HOME & Crematory, 1278 Park Ave., Cranston. Burial will take place in St. Ann Cemetery, Cranston. VISITING HOURS are Saturday morning from 9:00 – 11:00 a.m.